To support green and hybrid travel we have now had a second electric charging point added at our head office. 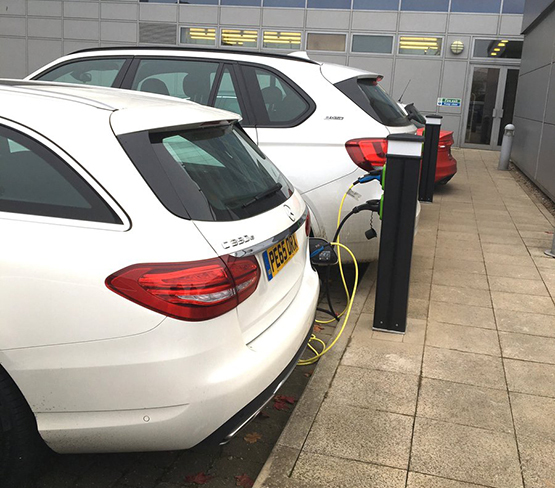 Our first charging point was added in 2015 and this was followed by a member of staff getting a plug-in hybrid car that they charge at work during the day so that all of their daily commute is totally powered by electricity. Since then there has been more interest and other staff members have looked into get plug-in hybrid cars and to support this we have had an additional charging point installed. We hope that going forward we will see more people looking to take on an electric vehicles through the received benefits of cheaper travel as well as reduced environmental impacts.